Warren Zevon fell off the wagon after the release of The Envoy, he waited five years before releasing an album, the pause seemed to have done him good, as Sentimental Hygiene (released 29. August 1987) was one of his strongest albums. Sentimental Hygiene was my first Warren Zevon record, I have since gotten everything I could find by him and about him, official as well as “un-official” releases, vhs, dvds and books. 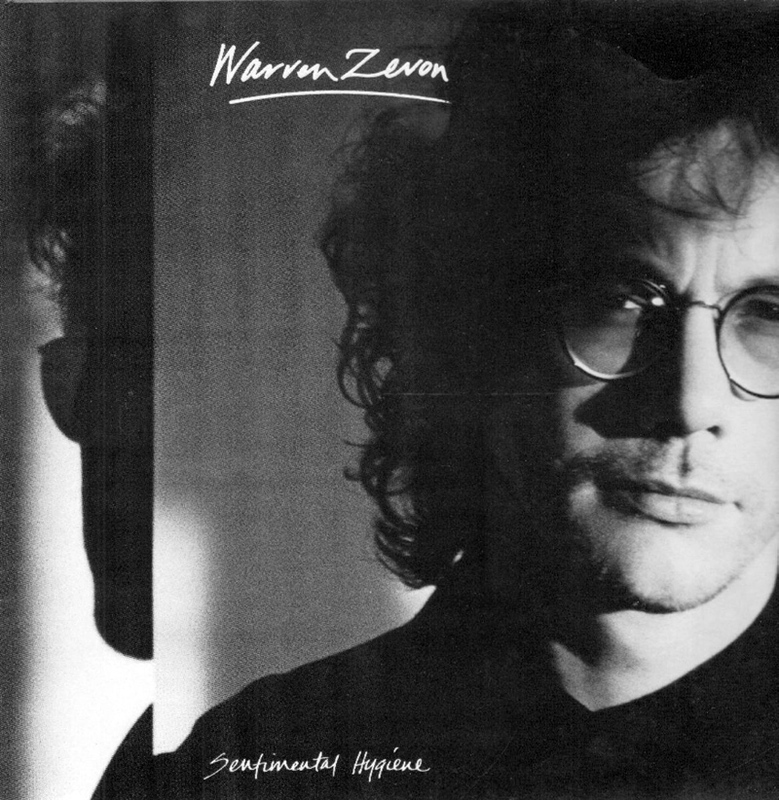 Warren Zevon has been a favorite of mine since Sentimental Hygiene met my ears. There are lots of guests on the album, Bob Dylan, David Lindley, Neil Young, Brian Setzer, Don Henley and George Clinton, but the main players here are Peter Buck, Mike Mills, and Bill Berry of R.E.M. (and Michael Stipe also guested on a song…I think). They provide Zevon with a very solid back-up band, he sounds fresh and invigorated through the whole record. Warren Zevon sounded more rock’n roll than in quite a while, and he was introduced to a new audience (me included). As always he was funny as hell! Not on Spotify, but here’s a fine collection of songs off the album from YouTube. Also my first Zevon. Great record!